Cape Town - The Junior Springboks will take on England and Wales in the UK late in April in vital warm-up matches for the World Rugby U20 Championship in Argentina in June. These matches will increase the team’s warm-up games against international opposition to five, following the announcement on Thursday that they will meet the Argentina and Georgia Under-20 sides and a senior Namibian XV in the U20 International Series in the Western Cape early in April. Chean Roux’s charges will take on England at Coventry Rugby’s Butts Park Arena on Friday, 26 April, while the clash against Wales will take place on Tuesday, 30 April. The venue will be announced in due course. This will mark the second successive year that the sides meet in warm-up matches before the international spectacle. The Junior Springboks met Wales at Cardiff Arms Park last year where they beat the hosts 41-5, while they defeated regular World Rugby U20 Championship semi-final opponents, England, 26-12 at the Sixways Stadium in Worcester. 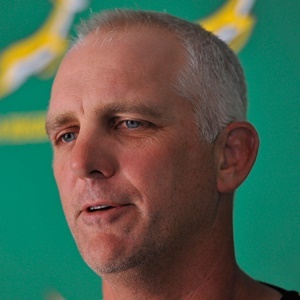 “This tour will serve as the perfect preparation for the players ahead of the World Rugby U20 Championship because apart from exposing them to teams that will be participating in the competition, they will also get a taste of playing overseas and going on tour,” said Roux. “All three sides will use these matches to measure where they are with an eye on the World Rugby U20 Championship and to determine which areas they still need work before departing for Argentina, so we are expecting tough clashes. The Junior Springboks will depart for the UK on Tuesday, April 23, and will return to SA on Thursday, May 2, which will be followed by a two-week training camp in Stellenbosch, before the team departs for Argentina. Roux’s team will meet Scotland on Tuesday, June 4, before taking on Georgia (Saturday, June 8) and New Zealand (Wednesday, June 12) in the pool stages of the World Rugby U20 Championship. The semi-finals will be contested on Monday, June 17, and the final on Saturday, June 22.